Delight customers with a connected experience across every channel. 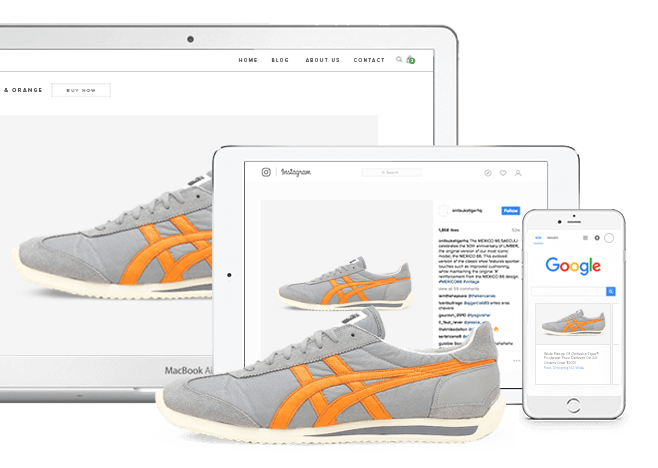 Go omnichannel with all the in-store, ecommerce and online tools you need. It’s letting your customers shop across physical and digital channels, so they can seamlessly interact with you in-store, online, or on their mobile device. Centralize all your sales channels and choose an in-store and ecommerce solution that lets you track and manage orders, products, and customers from one platform in real-time. Going omnichannel enables you to open up new revenue streams, increase customer satisfaction, and boost loyalty. Give your customers the freedom to shop any way they like. Today’s consumers are not using just one channel, and neither should you. Combine your brick-and-mortar store with ecommerce, social, and mobile, so you can be there for your customers no matter where or how they’re shopping. Why do you need to sell across multiple channels? Going omnichannel is a must if you want to stay competitive. Omnichannel retailing unlocks massive potential for higher profits and loyalty. A study of 46,000 shoppers found that 73% have used multiple channels throughout their shopping journeys and those shoppers are more loyal and spend higher amounts in-store and online. 80% of shoppers use digital means when shopping. 46% of customers prefer to research online, but buy in the store. 45% of smartphone owners are making purchases using a mobile device every month. Top benefits of being an omnichannel retailer. Selling in-store and online can have a positive effect on virtually every area of your business. Going omnichannel makes it easier for consumers to buy from you, in turn boosting sales and repeat business. Engaging with shoppers on various channels helps you cultivate better relationships and improve branding. Shoppers love it when you give them the ability to buy whenever and however they want. Being present on multiple channels gets you in front of more people, increasing your fanbase and retail presence! Integrating all your sales channels increases efficiency and you won't have to worry about double entry or inventory inaccuracies. Having an ecommerce store can drive brick-and-mortar traffic (and vice versa). Go online and create more reasons for people to visit your stores. See how Vend can help you become an omnichannel retailer. Which omnichannel solution is right for you? You're a brick and mortar retailer who'd like to start selling online. You want to grow into new channels to reach and engage with more customers. Easily set up the deepest multi-store POS integration to Shopify, with more integrations available soon. You can also work with an ecommerce integrator to connect other online systems including WooCommerce, Magento or BigCommerce. You’re an ecommerce retailer who’d like to open one or more brick and mortar locations or pop-ups. You want to offer your customers an in-person shopping experience and leverage your online brand. 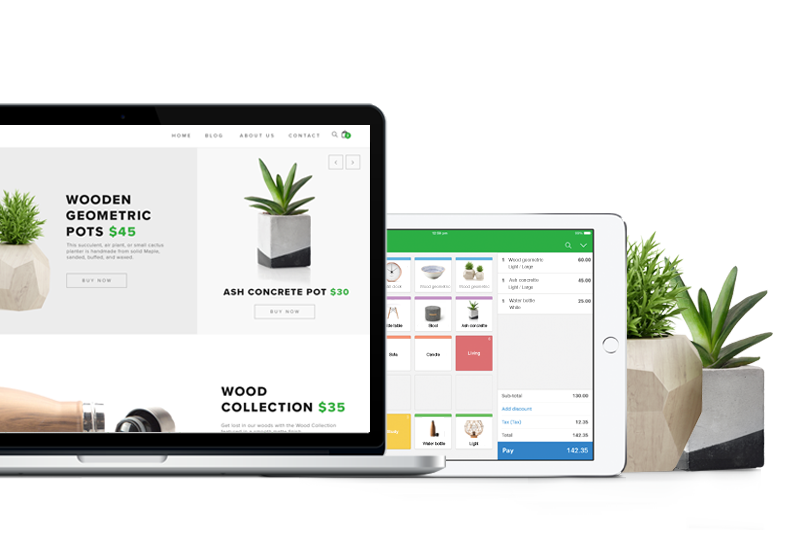 Integrate your existing online store with Vend. Choose the deepest multi-store POS integration to Shopify, with more integrations available soon. You can also work with an ecommerce integrator to connect other online systems including WooCommerce, Magento or BigCommerce. I currently sell in-store & online. You’re a retailer with a brick and mortar presence, and you also sell online in some capacity. You want to scale and sell more to maximize your profits, but you're wasting time managing products and inventory in two separate (or poorly integrated) systems.